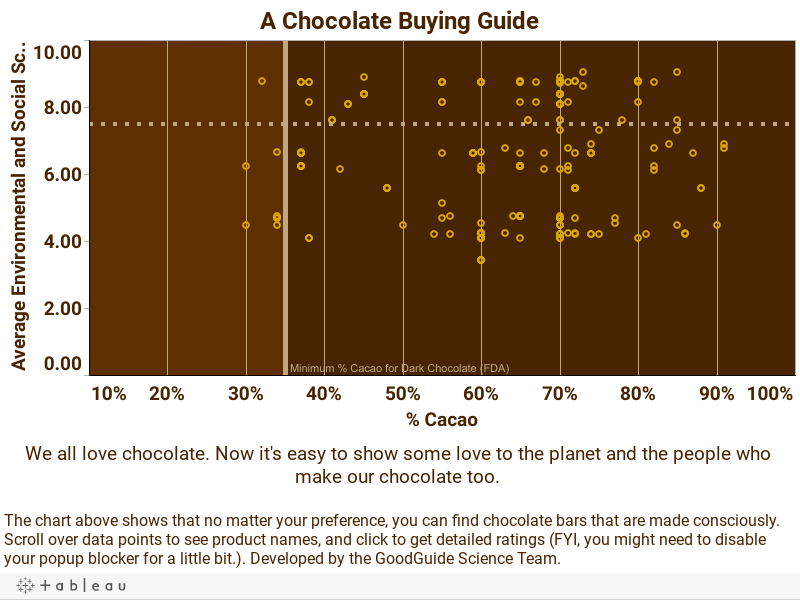 If you love chocolate, then you will love this viz from GoodGuide. It shows dozens of chocolate bars by their cocao percentage, and their GoodGuide Environmental and Social Score. This way, you can have your chocolate and support sustainable and ethical businesses as well.